When I was a little girl I dropped out of the Brownie Scouts because I didn't like all the rules and conformity. I think that is why I like the Any Thing Goes Challenges. This weeks Challenge #228 is Any Thing Goes - Masculine. Show us your style and need to express yourself. Now let's reveal what the Design Team has for us this week. 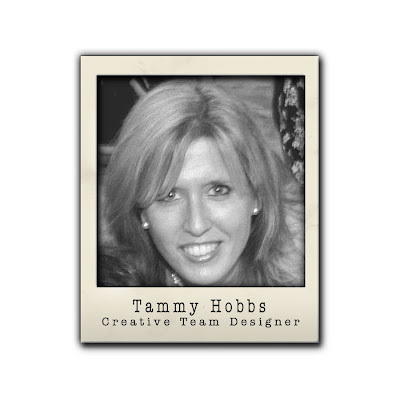 For this week's Boys will be Boys challenge, Tammy created a Baseball Birthday Card. She started with a card base of Brown Kraft Cardstock next layering a navy blue layer of cardstock followed by Buff Ivory Cardstock which she decorated with various die-cuts, a stamped sentiment and sequins. The baseball bats were die-cut from Brown Kraft Cardstock and stamped with kraft ink. A baseball was created using Buff Ivory Cardstock and added to the center of the crossed bats. 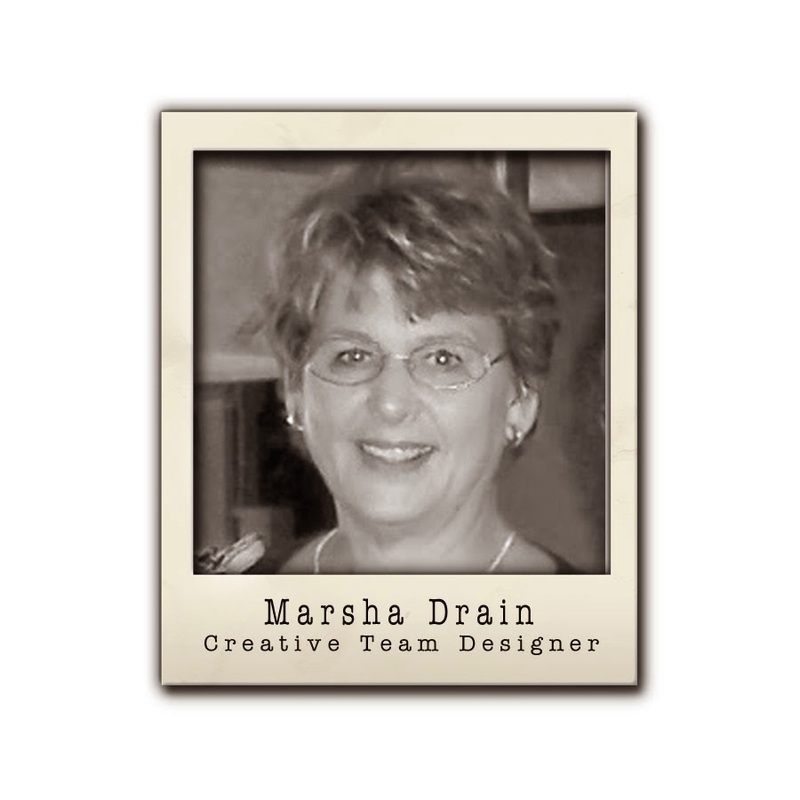 Marsha has lots of grandsons which keeps her busy making masculine (little men!) cards. She started with Brown Kraft for the base. The cute puppy paws are embossed onto Light Kraft cardstock then sponged with a bit of ink to bring out the pattern. The Natural Hemp Cord is a frequent go to item for Marsha. She loves the all the colors but the natural color is her favorite especially for masculine cards. She tied a strand over a piece of Black Polka Dot Twill Ribbon and then just knotted three more pieces of the cord onto the piece that wraps around the ribbon. 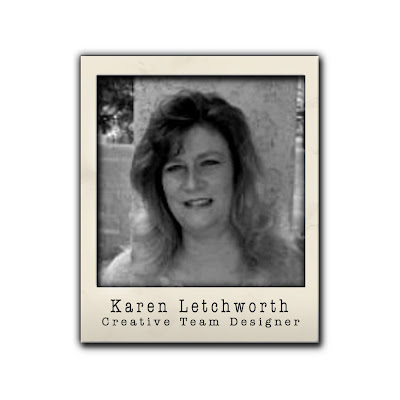 For more details, she would love to have you visit her blog: Gramma's Room. 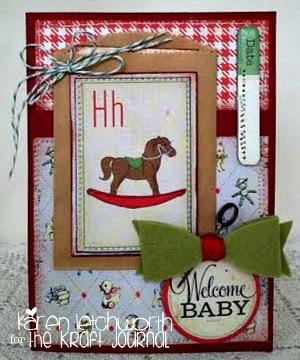 For this week's "Boys Will Be Boys" Challenge, DT Member Karen Letchworth decided to make a card to welcome a brand new baby boy. 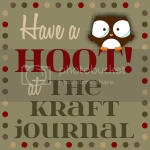 She used a Lunch Bag Kraft Note Card for her base, and added some patterned papers. Next, she attached a Mini Kraft Merchandise Bag to which she added a boyish journaling card and some Green Baker's Twine. She also tucked in a journaling tag made from Buff Ivory Cover Weight Cardstock, and added a felt bow with a Tim Holtz Memo Pin stuck in it. For a complete supply list, you're welcome to visit Karen's Blog, My Cup Runneth Over.